Remains of Sphinxes in front of Karnak temple. Sphinx avenue in Luxor temple, right side. Luxor temple Sphinx avenue, left side. 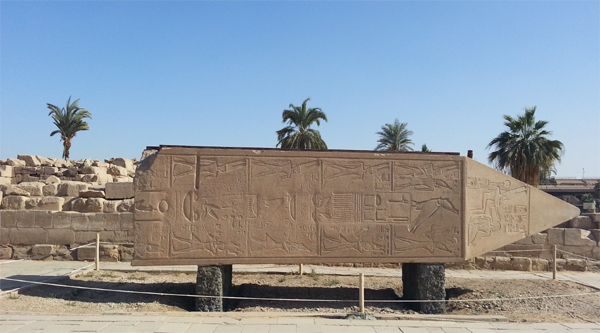 Part of the Sphinx avenue near Karnak temple. Walk along Sphinx avenue inside Luxor temple. 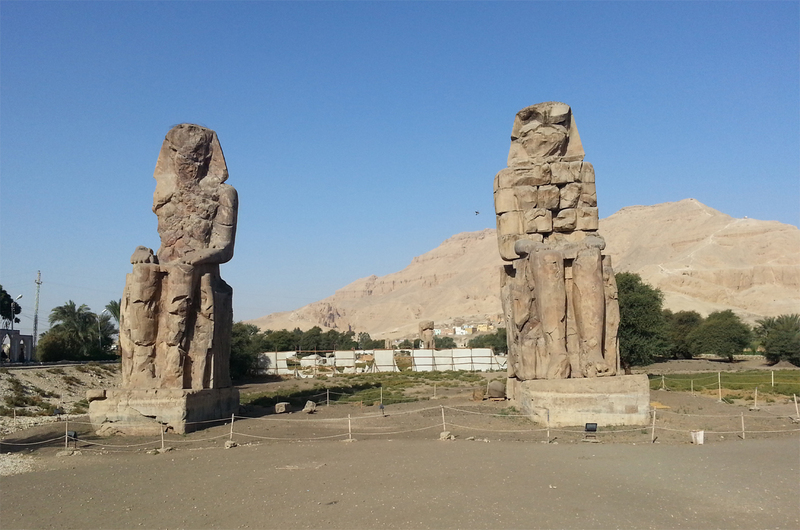 Now we are able to see two sections of the Avenue of Sphinxes in Luxor looking much as they did in the days of the Pharaohs. 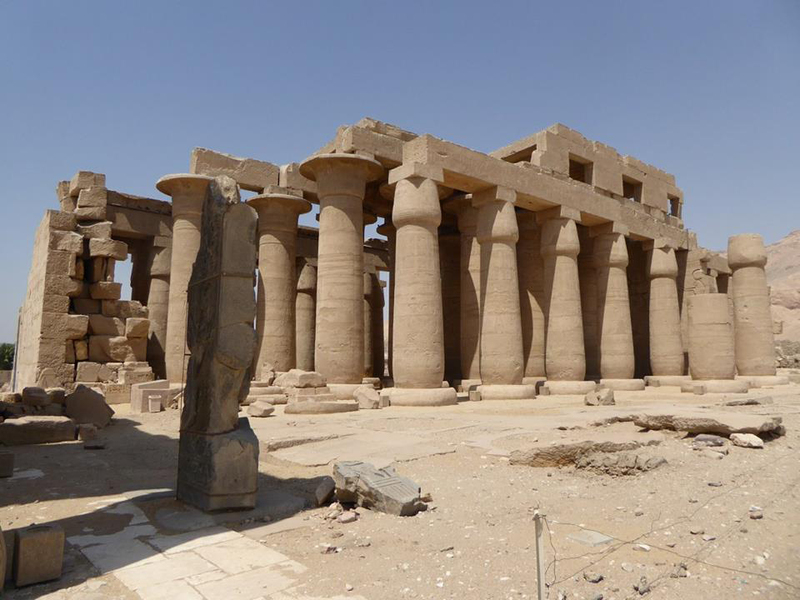 The magnificent aspect of the Avenue of Sphinxes that once connected the temples of Luxor and Karnak, where priests, royalty and the pious walked in procession to celebrate the Opet festival, is being rekindled. Many of the 1,350 human-headed sphinxes with the bodies of lions that once lined the avenue have been restored. 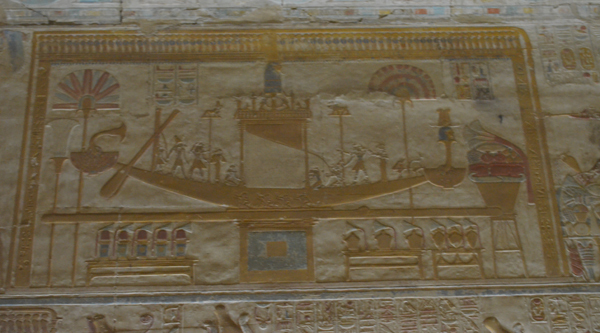 On the annual Opet festival priests trod the paving stones from Karnak to Luxor bearing a wooden bark holding the shrine of the triad of deities: Amun-Re, Mut and Khonsu. 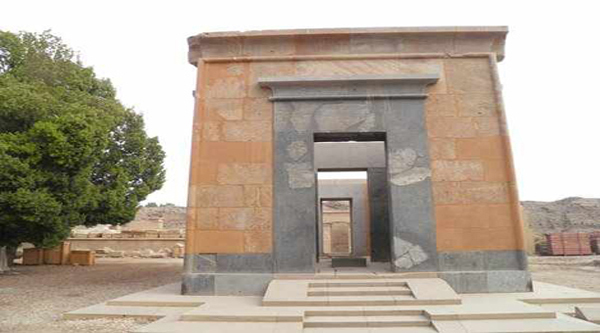 After five years of restoration the first and fifth Sphinxes Avenues, which once connected both Karnak and Luxor temples in ancient times are open to public. This part represents 37 per cent of the whole path. 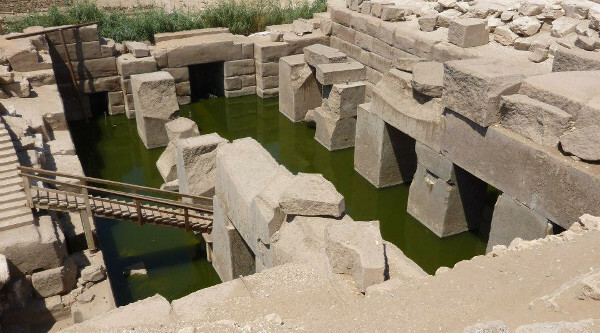 The restoration work of the first section, which stretches from the Luxor temple to 350 metres long, includes the removal of all encroachment as well as the consolidation of the avenue's eastern wall and the restoration of the sphinxes themselves. 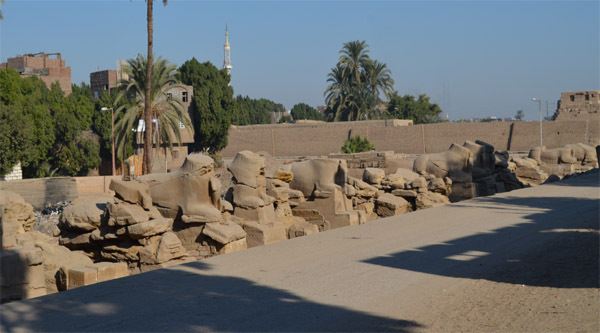 The restoration of the 600-metre-long fifth section extends from the area behind Luxor Library to the town?s airport road. The 2,700-metre-long avenue of sphinxes was built during the reign of Pharaoh Nectanebo I of the 13th-Dynasty. 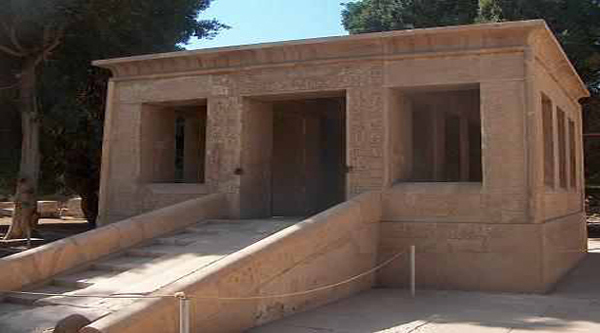 It replaced one built formerly in the 18th Dynasty, as Queen Hatshepsut (1502-1482 BC) recorded on the walls of her red chapel in Karnak Temple. 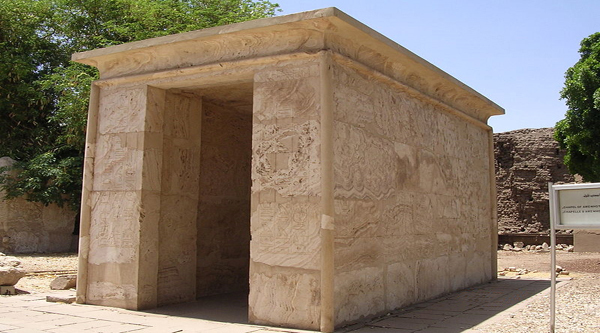 According to this, she built six chapels dedicated to the god Amun-Re on the route of the avenue during her reign, emphasizing that it was long a place of religious significance. 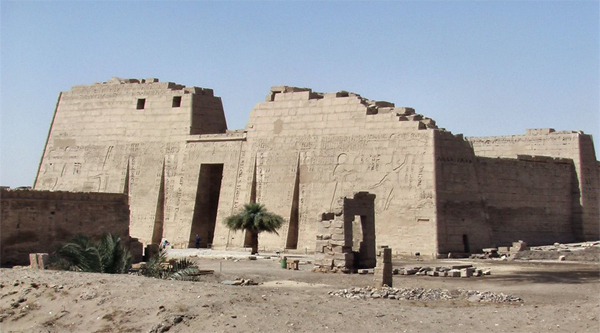 Sadly, however, over the span of history the avenue was lost, subjected to destruction as some of its sphinxes were destroyed and those sections of the avenue that were far removed from both temples were covered with sand and were buried under random housing. The excavation team unearthed a large number of fragmented sphinxes that are now undergoing restoration, once restored, they will be placed on display along the avenue. The avenue was divided into five excavation sections, each revealing more sphinxes as well as the cartouches of several kings and queens. Excavators have unearthed only 650 sphinxes of the original 1,350, since many were reused during the Roman period and the Middle Ages. Archaeologists have unearthed a number of Roman buildings and workshops for the manufacture of clay pots and statues, as well as several reliefs. One of the reliefs bears the cartouche of the famous Queen Cleopatra VII (51-30 BC). It's believed that this queen likely visited this avenue during her Nile trip with Mark Anthony and implemented restoration work that was marked with her cartouche. 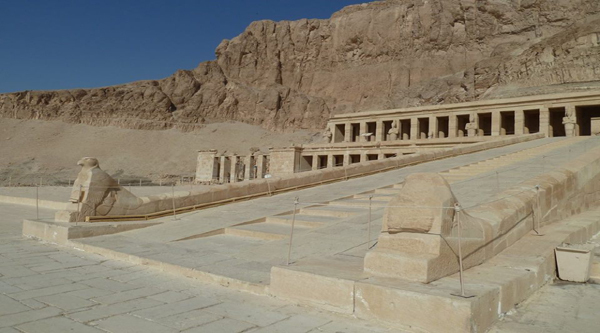 Remains of Queen Hatshepsut's chapels, which were reused by the 30th- Dynasty Pharaoh Nectanebo I when the sphinxes were installed, have been found, along with the remains of Roman wine factories and a huge water cistern.